In the tradition of his forebears, Johnson writes sturdy, no-nonsense songs of his own that practically define the idea of "outlaw" country. Swine Grantt has laid the most memorable bass lines to some of our favorite songs. He has helped create music that was there when we needed it, so now is our time to return the favor. Montgomery, AL – Jamey Johnson’s Sixth annual Homecoming Golf Tournament and Concert, held at the Cottonwood Golf Club, raised more than $200,000 to help those battling pancreatic cancer through the Nikki Mitchell Foundation. Willie Nelson has nothing but praise for Jamey Johnson‘s contribution to his new album. Due to the threat of winter weather and Governor Bentley's state of emergency, the Jamey Johnson concert scheduled for Friday night, January 6th, has been moved to Sunday, January 8th. All tickets to the January 6th concert will be honored on January 8th. Jamey Johnson is mentioned in the same breath as Sturgill Simpson and Jason Isbell among country music experts for the same independent spirit and commitment to songwriting. He’s earned a list of awards but says he is happy just to be singing and touring. The annual Farm Aid concert came to Bristow, VA's Jiffy Lube Live on Saturday with a day full of music that included Farm Aid board members Neil Young, Willie Nelson, Dave Matthews and John Mellencamp as well as sets from Alabama Shakes, Nathaniel Rateliff and the Night Sweats, Sturgill Simpson, Jamey Johnson and others. Jamey Johnson is one of the fortunate individuals to have counted the late Merle Haggard among his friends, and his honest, sympathetic approach to songs about working-class life makes him one of the country legend's closest modern analogs. 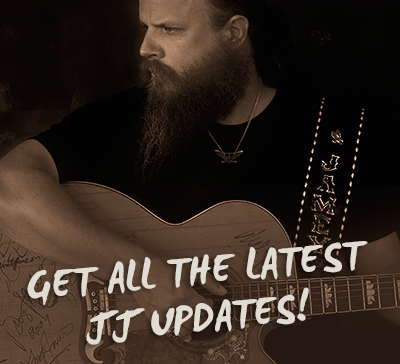 Jamey Johnson is one of the most highly regarded and well-liked country musicians of his time. Johnson grew up in Alabama and, despite the fact that he’s clearly a talented artist, he has largely shirked his fame to stay true to his roots.